You can be treated by an experienced sports medicine doctor when you visit Tahoe Fracture & Orthopedic Medical Clinic’s Reno, Nevada, office. We have a multi-disciplinary team of knowledgeable professionals, some of whom specifically focus on sports medicine. In fact, some members of our team have even served as physicians for the U.S. Ski Team, a position reserved for those who have noteworthy experience with athletics and who regularly participate in relevant training courses. Each sports medicine doctor on our team generally recommends that a patient attempt a course of conservative treatment before turning to surgery. 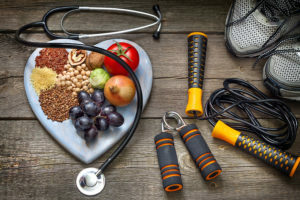 In many cases, this may involve treatments such as pain medication, corticosteroid injections, heat/cold therapy, physical therapy, exercise, stretching, and rest. We recognize that more severe cases sometimes require surgery, however, and our team includes surgeons who are qualified to assist you with whatever further treatment you may need. Plus, the fact that we have surgeons in-house means that you won’t have to waste time visiting multiple providers during what is already sure to be a stressful time. If you’ve sustained a sports injury, please put your trust into a sports medicine doctor at Tahoe Fracture & Orthopedic Medical Clinic’s Reno, NV, office. We know how discouraging it can be for an athlete to be sidelined due to an injury, and how important it is to get you back to peak physical condition in a timely but safe manner. We would love the chance to help you work toward your training and performance goals.